With #thanksgiving only three weeks away, it’s time to be thankful, cook a feast for your loved ones and of course, set the table. 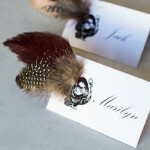 This year my design features of choice are #feathers! Don’t feel obligated to entertain with the same ole, same ole. This year make a statement with a non-traditional table setting and wow your guests, not only with dinner, but also with a beautifully decorated table design. Feathers are sacred to Native Americans and represent a deep connection with a higher power and prayer. This makes it a great decorative accent to incorporate this sentiment into your Thanksgiving festivities. 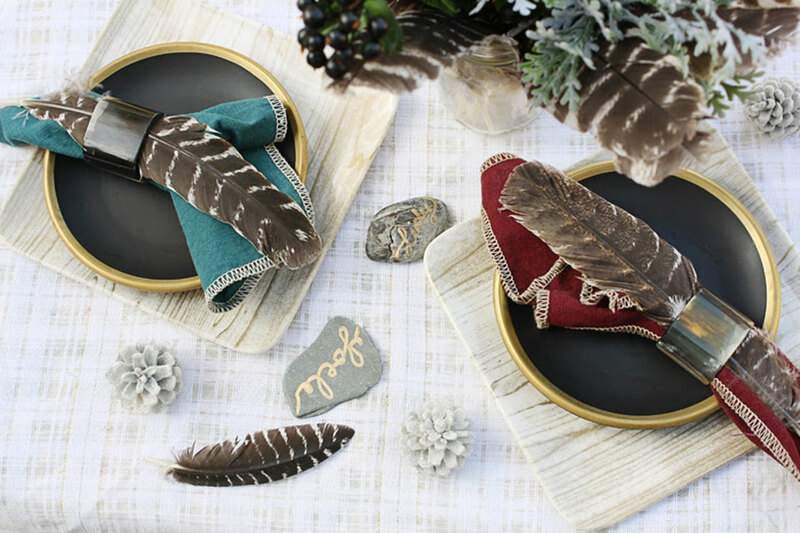 Like the featured image, you can adorn your dinner table with feathers by adding them to your napkin holders, as a complement to your floral centerpiece and randomly placed on the table. Another great touch would be to print out the cultural significance of the feather and have it precede the blessing of the food and lend to a great conversation of the many feasts that have been had before. I have nicknamed myself the black Martha Stewart, but while you won’t find me in the kitchen, you can rest assured that any gathering I host will be creatively designed, right down to the place cards. These unique cards are a great way to personally welcome your guests to a memorable dining experience. All the while keeping with the feather theme of the evening. This design can be easily created with a visit to your local arts and craft store. Just look for blank cards, a holiday themed ink stamp and hand write each name for a personal touch! I love to give and receive gifts, so I’m excited about this Thanksgiving gift idea because it’s a sure way to show your guests how much you are thankful for them being in your life. After dessert present each of your guests with a beautifully decorated box or bag adorned with satin or gro-grain ribbon and of course–feathers! You can give everyone the same gift, like a wine stopper or cookbook or personalize each gift to the guest. Thanksgiving is definitely a time to not hold back on giving. Make the experience as memorable as possible. Happy hosting! If you are like me, your favorite part of Thanksgiving dinner is dessert. 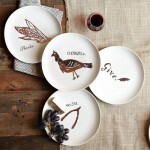 And what better way to serve up some apple or sweet potato pie than on these creatively designed dessert plates. It’s also a fun way to remind your guests about the reason for the season. They can reflect on the personalized text on each plate and reminisce on what they are thankful for, how they plan on giving back during the holiday season; make a wish for the upcoming new year, and of course reminisce about the delicious dessert they’ve gobbled down! We are entering into one of my favorite times of the year, not only because my birthday is just a few short weeks away, but this season of giving is very special to me. 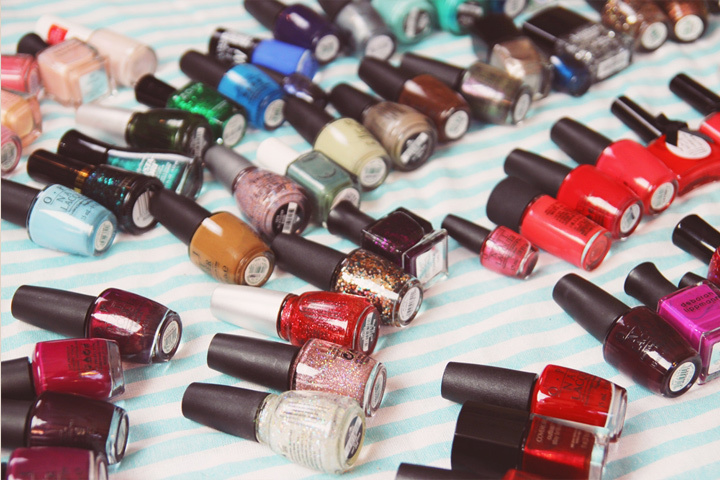 It’s truly a time to take inventory and figure out how you can give back to your friends, family and community. Whether you decide to serve meals at your church or local soup kitchen, visit with the elderly or simply carve out some quality time to spend with your loved ones, I hope that you will commit to at least one selfless act during the season and truly experience how rewarding the act of giving can be. BE Thankful! BE Appreciative! BE Kind! BE A Blessing! 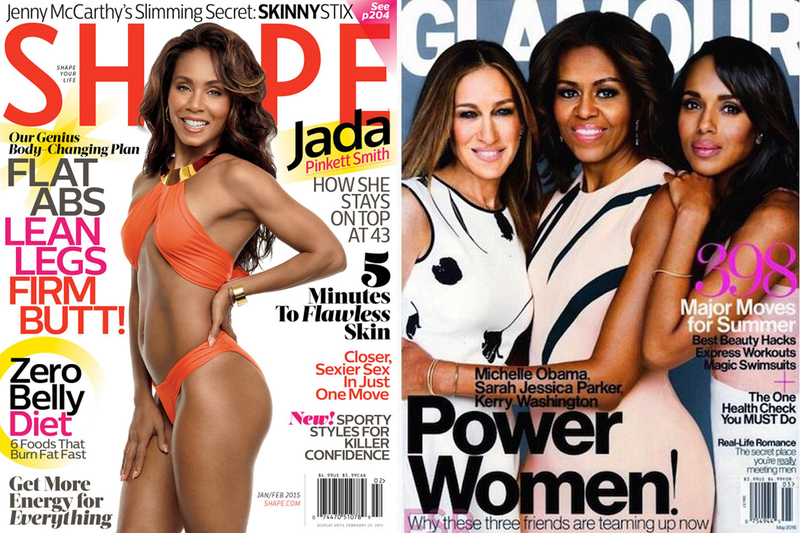 Previous articlePaying Us Money to Love Ourselves? Paying Us Money to Love Ourselves?